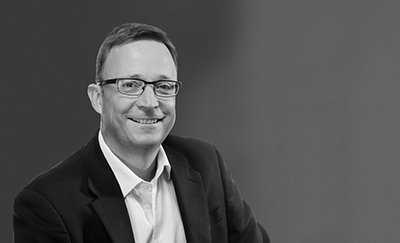 MR DU PREEZ IS THE CHIEF EXECUTIVE OFFICER FOR STEINHOFF INTERNATIONAL HOLDINGS N.V. He was appointed as a non-executive director on 24 January 2018. He qualified as an attorney of the High Court of South Africa in 1997, after completing his articles. 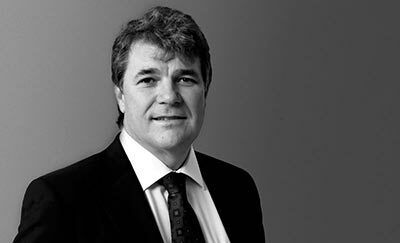 He joined Jan S de Villiers and was appointed a partner of the firm in 1998. With the merger of Werksmans Attorneys in 2009, he became a member of the national executive committee of the combined firm and served in that capacity until early 2017. While practising as an attorney, he advised clients on a variety of corporate and commercial matters. 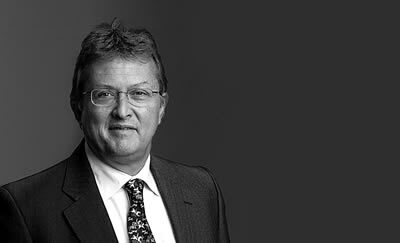 Mr du Preez was appointed to the board of KAP Industrial Holdings Limited on 1 October 2017 as a non-executive director. He joined the Steinhoff group as general counsel in mid-2017, was appointed as the commercial director of Steinhoff International Holdings N.V. on 19 December 2017 and as chief executive officer of Steinhoff International Holdings N.V. with effect from 1 January 2019. MR DIEPERINK IS THE CHIEF FINANCIAL OFFICER FOR STEINHOFF INTERNATIONAL HOLDINGS N.V. He earned his Honours degree in Accountancy at the University of Pretoria. He joined Deloitte & Touche in 1980, where he qualified as a chartered accountant in 1981. He transferred to the tax division, specialising in corporate and international tax planning, and became a tax partner in 1987. After leaving Deloitte, he joined Unitrans Limited as chief financial officer and helped to develop the strategic direction and growth of this group over 10 years, until 2007 when Unitrans was purchased by Steinhoff. He holds several other appointments within the Steinhoff group of companies and currently serves on the boards of Steinhoff Asia Pacific Limited and Cofel. In September 2007, he relocated to the United Kingdom to assume the position of chief financial officer of Steinhoff UK Holdings. Mr Dieperink was appointed as chief financial officer and member of the management board of Steinhoff on 20 April 2018. MR DE KLERK IS THE OPERATIONAL DIRECTOR FOR STEINHOFF INTERNATIONAL HOLDINGS N.V. He completed his articles with Ernst & Young and worked for four years as a corporate tax consultant. He joined Murray & Roberts as financial director of its marine construction operation and spent five years with Gensec Investment Bank as part of its corporate finance advisory unit, focusing on mergers and acquisitions, capital raisings and related structuring functions. He joined Steinhoff in 2003 as a senior executive with responsibility for corporate advisory services and investor relations. In 2008 he was appointed chief executive officer of SteinBuild, the group’s southern African building materials division, a position he held until 2015. 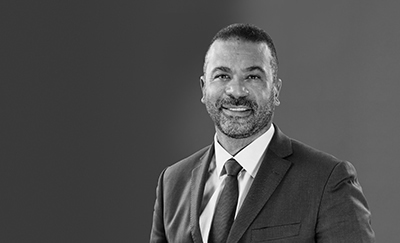 He currently serves as a director of several Steinhoff operating companies and manages a number of strategic projects on behalf of Steinhoff. Mr de Klerk has been a non-executive director of KAP Industrial Holdings Limited since October 2017. He was appointed to the role of operational director of Steinhoff on 20 April 2018. 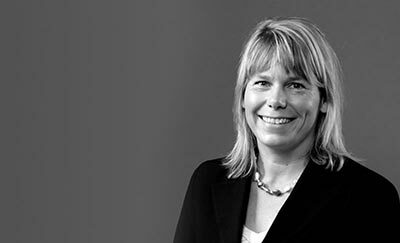 MS SONN WAS APPOINTED AS A SUPERVISORY BOARD DIRECTOR OF STEINHOFF INTERNATIONAL HOLDINGS N.V. IN NOVEMBER 2015, HAVING PREVIOUSLY SERVED AS AN INDEPENDENT NON-EXECUTIVE DIRECTOR OF STEINHOFF INTERNATIONAL HOLDINGS LIMITED SINCE DECEMBER 2013. SHE WAS APPOINTED AS CHAIRPERSON OF THE SUPERVISORY BOARD ON 14 DECEMBER 2017 AND REAPPOINTED TO THE SUPERVISORY BOARD ON 20 APRIL 2018. Ms Sonn attained her Masters of Science from Georgetown University, and a BA from Smith College, Massachusetts. On completion of her studies in 1997, she joined Merrill Lynch New York as an investment banking analyst. She returned to South Africa in 1999 and took up a position with Sanlam Investment Management in Cape Town. She has served as chief executive for Legae Securities, deputy chief executive for Wipcapital and chief executive for The Citizens Movement. She is a former director of Strate and was instrumental in building the basis for Barclays’ global integrated bank initiative while at Barclays Bank plc. She also served as President of the South African Association of Investors, an NGO focused on investment and financial market education. She currently serves on the board of Gamiro Investment Group and Reinsurance Group of America. She is also a fellow and moderator of the Aspen Institute’s Global Leadership Network. Ms Sonn is the chairperson of the nomination committee. DR BOOYSEN WAS APPOINTED TO THE STEINHOFF INTERNATIONAL HOLDINGS LIMITED BOARD AS AN INDEPENDENT NON-EXECUTIVE DIRECTOR IN SEPTEMBER 2009 AND AS A SUPERVISORY BOARD DIRECTOR OF STEINHOFF INTERNATIONAL HOLDINGS N.V. IN NOVEMBER 2015. HE WAS REAPPOINTED TO THE SUPERVISORY BOARD ON 20 APRIL 2018. Dr Booysen earned a bachelor’s degree at the University of South Africa and a PhD (Accountancy) from the University of Pretoria. He went on to complete his articles with Ernst & Young and acted as lecturer at the University of South Africa. In 2006, he was appointed as council member of the University of Pretoria. He is the former group chief executive officer of Absa Group Limited, and he currently serves on the boards of the listed companies Clover Limited, Efficient Group Limited, Enx Group Limited and Vukile Property Fund Limited. Dr Booysen is the chairman of the audit and risk committee and a member of the governance, social and ethics committee. MS KRÜGER-STEINHOFF WAS APPOINTED AS A SUPERVISORY BOARD DIRECTOR OF STEINHOFF INTERNATIONAL HOLDINGS N.V. IN NOVEMBER 2015, HAVING PREVIOUSLY BEEN APPOINTED AS AN ALTERNATE NON-EXECUTIVE DIRECTOR OF THE STEINHOFF INTERNATIONAL HOLDINGS LIMITED BOARD IN DECEMBER 2007. SHE WAS REAPPOINTED TO THE SUPERVISORY BOARD ON 20 APRIL 2018. She obtained a bachelor’s degree in 1997 at the EBS European Business School. 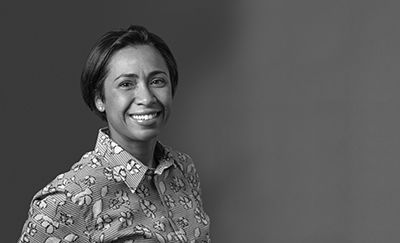 She joined the Steinhoff group in 1997 as a financial manager. In 1999, she was seconded to act as managing director of the Australian operations. She resigned from the group at the end of 2005 and now attends to the Steinhoff family investments. She has more than 10 years’ experience in the industry, with specific knowledge of and extensive experience in management and investments globally. Ms Krüger-Steinhoff also serves on the advisory board of Oldenburgische Landesbank AG. Ms Krüger-Steinhoff is a member of the nomination committee. Ms Kweyama obtained a Postgraduate Diploma in Management and a Master’s degree in Management from the University of Witwatersrand in 1999. She has extensive commercial experience working in a number of international companies. She served as group executive of human resources & industrial relations at Allied Technologies from 2003 to 2008, and as group executive of global HR, transformation and sustainability at Barloworld Ltd from 2008 to 2011. She also served as executive head of human resources at Anglo American Platinum Limited from 2011 to 2012, and executive director of Anglo American Southern Africa Limited from 2012 to 2015. More recently, she served as chief executive officer of Business Unity SA from 2015 to 2017. Ms Kweyama has won a number of awards throughout her career. She was selected as the “Most Influential Woman in the Mining, Resources and Extractive Sector” from 2012 to 2015 and was recognised as one of the “100 Most Inspiring Women in Mining” in 2014 and 2015. She has also been appointed to various offices at national and statutory bodies. She was appointed to the Employment Equity Commission in South Africa from 2008 to 2012, and was elected vice president of the Chamber of Mines in South Africa in 2013 and 2014. She has also served as chief executive officer of Business Unity in South Africa at the South African Chamber of Commerce and Industry since December 2014 and is a member of both the National Planning Commission and Gauteng Eminent Persons Group. Ms Kweyama currently serves as the chairperson of Brand South Africa and is a board member of the South African Broadcasting Corporation. She previously served as the chairperson of the interim board of the SABS. She is also chairman of the social and ethics committee at Telkom SA SOC Limited. Ms Kweyama was appointed to the supervisory board on 20 April 2018. She is a member of the human resources and remuneration committee and a member of the governance, social and ethics committee. Ms Moses graduated from the University of the Witwatersrand in 1987 and completed a Management Advancement Programme at the Business School of the University of the Witwatersrand in 1995. 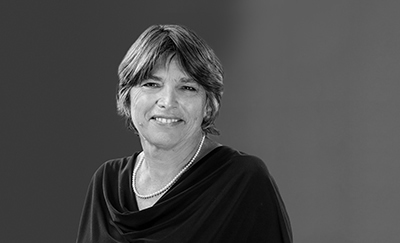 She served as managing director of Land Rover, Volvo and Jaguar in southern Africa from 2000 to 2004. She was the managing director of control instruments, automotive from 2004 to 2005. She was general manager of re-engineering at Transnet Limited from 2005 to 2007 and group executive of capital projects from 2007 to 2012. She was also a non-executive director on the board of the Public Investment Corporation from 2007 to 2015, serving on the audit and risk committee, the remuneration committee, the directors’ affairs committee and the investment committee. She also served as chairperson of the property committee. She has also served as a non-executive director of Transnet Limited, Viamax (Pty) Ltd and MTN Group Limited. 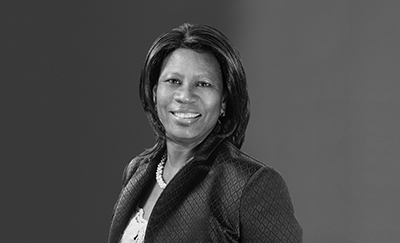 Ms Moses is currently a member of the board of the Government Employees Pension Fund and a non-executive director of Afrisam Group and Kansai Plascon Africa Limited. She is also a member of Thusanang Trust, a non-profit organisation focused on child education. Ms Moses was appointed to the supervisory board on 20 April 2018. She is a member of the audit and risk committee and chairperson of the human resources and remuneration committee. Dr Nelson was a medical doctor before earning an MBA from the University of Oxford. He is also a chartered financial analyst. He has a wealth of experience in the South African asset management industry. He joined Coronation Fund Managers Limited in 1999 as part of the investment team, initially as an equity analyst, then as portfolio manager, responsible for both institutional and retail assets. He served as the chief executive officer at Coronation Fund Managers Limited from November 2007 to January 2013. He has also served as the chief executive officer of Coronation Asset Management Proprietary Ltd, as a non-executive director of Namibia Asset Management Ltd. (from May 2008 to January 2013) and as a director of Coronation Global Fund Managers (Ireland) Limited. Dr Nelson currently serves as an independent non-executive director of Coronation Fund Managers Limited, is the founding partner of Fortitudine Vincimus Capital Advisors (Pty) Ltd, and is an advisor to the FVC Endurance Fund. He is also a trustee of the DG Murray Trust and a patron of the George Whitefield College. Dr Nelson was appointed to the supervisory board on 20 April 2018. He is a member of the audit and risk committee and the human resources and remuneration committee. Mr Wakkie earned a bachelor’s degree in law from the University of Utrecht in 1972. He then joined the Dutch law firm De Brauw Blackstone Westbroek specialising in mergers and acquisitions and corporate litigation and served as the firm’s managing partner from 1997 to 2001. He then became a founding partner of the firm Spinath & Wakkie B.V. in 2010. He served as a member of the executive board of Royal Ahold N.V. from 2003 to 2009 where he also held the position of chief corporate governance counsel. He was heavily involved in Royal Ahold's restructuring and divestment program and became chief architect of its corporate responsibility strategy. 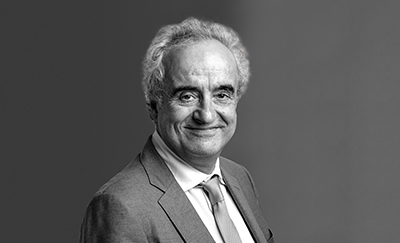 Mr Wakkie has held numerous roles on supervisory boards throughout his career. He is currently chairman of the supervisory board of TomTom N.V. and a member of the supervisory board of BCD Holdings N.V. He was vice chairman of the supervisory board of ABN AMRO Bank N.V. from 2009 to 2015 and chairman of the supervisory board of Wolters Kluwer N.V. until 2017. Mr Wakkie was appointed to the supervisory board on 20 April 2018 and is deputy chairman and chairman of the governance, social and ethics committee. Prof. Watson is a South African chartered accountant. She served as a professor in the College of Accounting at the University of Cape Town until March 2018, where her area of expertise was financial reporting and other forms of corporate reporting. 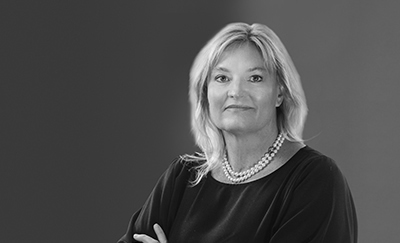 She is also a former chairman of the Accounting Practices Committee (Technical Accounting Committee of the South African Institute of Chartered Accountants) and is a member of the South African Financial Reporting Investigations Panel. Prof. Watson has been a non-executive director of Coronation Fund Managers Limited since May 2008 and chair of its audit and risk committee, as well as lead independent non-executive director since October 2017. She is also a board member and vice chairman of the Global Reporting Initiative, an Amsterdam-based organisation promoting understanding and communication of sustainability issues. Prof. Watson was appointed to the supervisory board on 20 April 2018. She is a member of the audit and risk committee, the governance, social and ethics committee and the nomination committee. Hugo was a medical doctor before earning an MBA from the University of Oxford. He is also a chartered financial analyst. Hugo has a wealth of experience in the South African asset management industry. He joined Coronation Fund Managers Limited in 1999 as part of the investment team, initially as an equity analyst, then as portfolio manager, responsible for both institutional and retail assets. He served as the chief executive officer at Coronation Fund Managers Limited from November 2007 to January 2013. He has also served as the chief executive officer of Coronation Asset Management Proprietary Ltd, as a non-executive director of Namibia Asset Management Ltd. (from May 2008 to January 2013) and as a director of Coronation Global Fund Managers (Ireland) Limited. 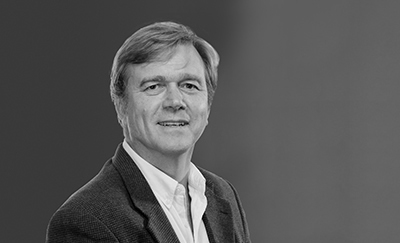 Hugo currently serves as an independent non-executive director of Coronation Fund Managers Limited, is the founding partner of Fortitudine Vincimus Capital Advisors (Pty) Ltd, and is an advisor to the FVC Endurance Fund. He is also a trustee of the DG Murray Trust and a patron of the George Whitefield College.